St. Martin's Griffin, 9781250030160, 256pp. Fourteen-year-old Elanor Moss has always been an outcast who fails at everything she tries—she's even got the fine, white scars to prove it. Moving was supposed to be a chance at a fresh start, a way to leave behind all the pain and ugliness of her old life. But, when a terrible car accident changes her life forever, her near-death experience opens a door to a world inhabited by Madeline Torus . . . Madeline is everything Elanor isn't: beautiful, bold, brave. She is exactly what Elanor has always wanted in a best friend and more—their connection runs deeper than friendship. But Madeline is not like other girls, and Elanor has to keep her new friend a secret or risk being labeled "crazy." Soon, though, even Elanor starts to doubt her own sanity. Madeline is her entire life, and that life is drastically spinning out of control. Elanor knows what happens when your best friend becomes your worst enemy. But what happens when your worst enemy is yourself? With her debut novel, The In-Between, Barbara Stewart presents a bold new voice in teen fiction. BARBARA STEWART earned an M.F.A. in creative writing from Wichita State University. 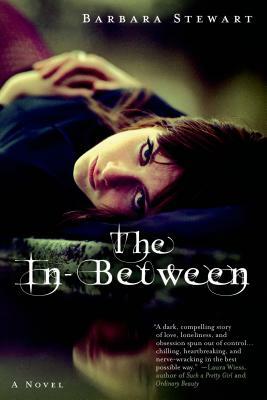 The In-Between is her first novel. She lives with her husband in the Catskill Mountains of New York.